The news has spread like wildfire through the Congolese community: Etienne Kabila Taratibu, ringleader of the group of dissidents suspected of plotting to overthrow the government of the Democratic Republic of Congo, handed himself over to the police in Cape Town on Saturday morning. By DE WET POTGIETER and KHADIJA PATEL. Emotions ran high within the 300,000-strong Congolese exile communities in South Africa over the weekend as news spread that the ringleader of the group of dissident Congolese suspected of plotting to overthrow the government of the Democratic Republic of Congo, Etienne Kabila Taratibu, had handed himself over to the police in Cape Town on Saturday morning. “He is the mastermind. We have been observing these guys. We have a list of individuals and their names,” a spokesman for the Hawks told Reuters. Kabila Taratibu will be flown to Pretoria this week, where he will appear in court with the other 19 Congolese suspected of plotting an overthrow of the Congolese government. Congolese expatriates in South Africa have had some strong reactions, with insults being levelled in all directions. Some singled out President Zuma, criticising him for protecting South African interests in the DRC above the human rights of the Congolese refugees. Others have focused on the intricacies of the Kabila family. 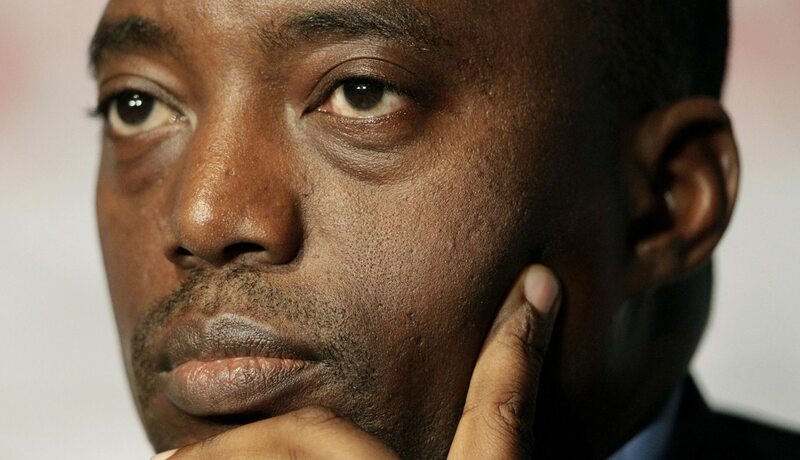 One particular tweet claimed that Joseph Kabila was “a fake son of Laurent Kabila”, a sentiment professed by Kabila Taratibu since he exiled to South Africa several years ago. The exiled Kabila, who lives in Cape Town and boasts 3,588 friends on Facebook, maintains that he is in fact the biological son of the slain Laurent Kabila and that Joseph was adopted child from a Rwandan family. In an interview in 2006, he said the DRC president was in fact Hyppolite Kanambe and brought a coup against their father for “betraying the nation by running the country with foreigners”. This is not the first time Joseph Kabila’s lineage has come under scrutiny. For years many of Kabila’s detractors have argued that he is in fact “a foreigner”. Most notably, leader of the opposition Congolese party The Union for Democracy and Social Progress, Etienne Tshisekedi, accused Joseph of not being Laurent Kabila’s legitimate son during a presidential election campaign in 2006. Tshisekedi argued that Joseph was in fact of Rwandan origin – an accusation that carries some significance in a country still reeling from an invasion of Rwandan forces in a five-year war. Joseph Kabila himself has not been indifferent to these accusations. During a political rally in February 2006, his backers were forced to introduce Kabila’s mother, Sifa, and his brother and sister to quell rumours of Kabila’s background. And even former vice-president Abdoulaye Yerodia insisted that he had himself witnessed Joseph Kabila’s birth in Fizi, a stronghold of the elder Kabila at the time. Joseph Kabila, however, grew up in exile in Tanzania. The Kabila family lived in Dar es Salaam under the discreet protection of then-Tanzanian president Julius Nyerere – a man Joseph Kabila claims is his “role model”. In order to avoid the attention of Mobutu’s intelligence service, they pretended they were members of the Fipa people, a small ethnic group from south-west Tanzania. But it is precisely this upbringing and the fact that Kabila speaks French with a decidedly English accent that has fuelled suspicion of his background. In another interview in 2007, Etienne Kabila Taratibu told a Congolese journalist in Cape Town that the DRC should be ruled by the Congolese. He also reiterated his earlier stance soon after his father’s assassination in January 2001, denouncing the way that Joseph had “monopolised all the legacy of Laurent-Désiré Kabila”. “It is true that Joseph was born of [a] Rwandan father and mother, Christopher Kanambe and Marcelline Katerede, who currently live in Kampala, Uganda,” he added. Joseph and his twin sister were allegedly adopted by Laurent Kabila four months after their birth when their father, Christopher Kanambe, died. According to Kabila Taratibu, he constantly lives under the threat of being killed by his opponents. If indeed Etienne Kabila Taratibu’s involvement in the alleged coup plot against Joseph Kabila is proven, then these sentiments go some way to explaining the motivation behind it all. Meanwhile, it is unclear whether the other wanted suspect, General Yakutumba, is still in South Africa. His Mai Mai Yakutumba movement was created by dissidents from war-era armed factions who were opposed to participating in the process of army integration during the transition between 2003 and 2006. Yakutumba, at the time a battalion commander with the rank of captain, declared that he refused to re-deploy his troops from Fizi territory, as long as troops from the Banyamulenge community did not disarm or send their troops away for army integration. Verweijen stresses that supporters of the Mai Mai Yakutumba consider the regime of Kabila junior to be complicit with the Rwandophones and their plan to “Balkanise” the DRC, backed by resource-hungry imperialist powers.